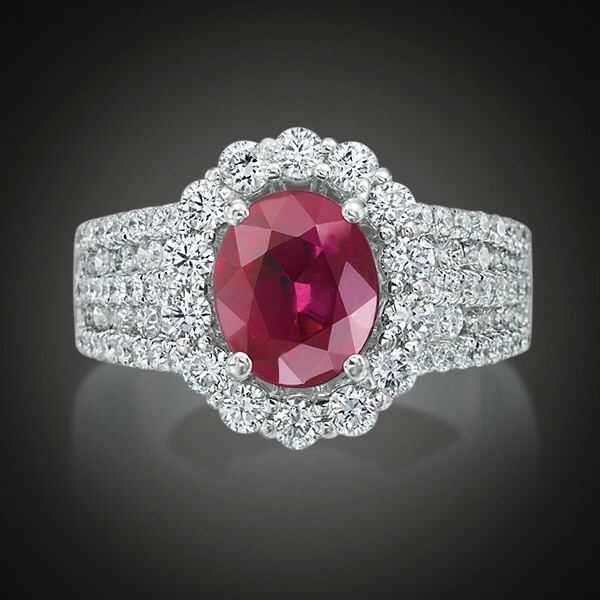 This ruby and diamond ring is robust and radiant. Crafted in 18K white gold, an oval-shaped ruby, set in four prongs, is embellished with a halo of round diamonds. A triple-row split-shank band is filled with precious stones, creating five glamorous rows of gemstones. This statement-making ring is perfect for ladies born in July, or those who proclaim red among their favorite colors!